On three different key points, the commission changed a proposed order from an administrative law judge in ways that solar advocates and consumer groups had recommended. If the proposed order had been implemented unchanged, advocates had feared that many rural and lower-income residents would have been excluded from solar incentives, and that the state might rely too heavily on renewable energy credits from out-of-state and existing projects as opposed to new in-state construction. Now, major groups that helped draft the sweeping energy law say they are very confident that the goals laid out in the law will be met, including provisions for extensive distributed solar in rural and economically-distressed areas. The Illinois Power Agency (IPA), which procures energy for the state’s utilities ComEd and Ameren, will oversee the purchase of renewable energy and the sale of solar renewable energy credits (SRECs) as outlined by the law. 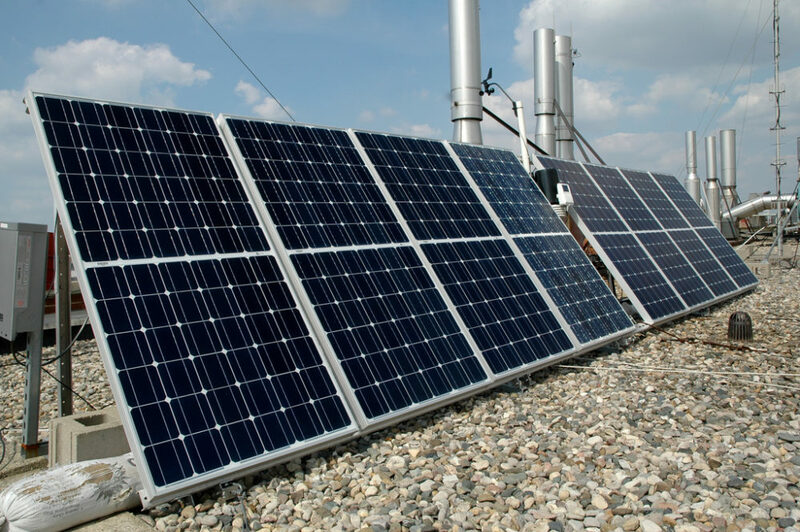 ComEd had argued that municipal utility and cooperative customers shouldn’t be able to sell SRECs from their solar projects since they don’t pay into the state’s renewable energy fund, which finances the SRECs. The judge’s proposed order banned muni and coop customers from the SREC program. But the final order allows them to participate, much to the relief of customers and solar developers who already had projects in the works in those territories. The final order also eliminated proposed spot procurements for renewable energy credits that had been scheduled to occur twice in 2018 and once in 2019. Clean energy groups worried that spending on those procurements – for RECs from existing, possibly out-of-state projects – would deplete the renewable energy fund that they hope will jumpstart in-state renewable energy development through long-term contracts. Christie Hicks, manager of clean energy regulatory implementation for the Environmental Defense Fund, noted that the agency might have found spot procurements attractive to meet renewable energy benchmarks in the next few years. But the law allows for prioritizing long-term contracts if budget constraints are an issue. The order also made more stringent the requirements that out-of-state projects have to meet to qualify for incentivized contracts under the energy law. A point system was devised to evaluate how much public benefit projects in other states would provide to Illinois residents, including in clean air impacts. The final order requires a higher number of points than the proposed order did for out-of-state projects to be considered. “We think it strikes the right balance of encouraging building in Illinois and allowing projects outside Illinois to develop,” said Toba Pearlman, staff attorney for the Natural Resources Defense Council’s Midwest Region Climate and Clean Energy Program. A major aim of the law, and a priority of the stakeholders who helped shape it, is to make sure that people from all walks of life have the chance to participate in developing solar energy. The proposal to exclude municipal and cooperative customers from solar incentives had been a blow to this concept since many of those customers are in lower-income, rural areas of the state. A focus on community solar is another way the law aims to make solar accessible to a wide range of residents. Advocates have worried that developers of community solar projects would prioritize the recruitment of larger subscribers – like businesses, institutions, or wealthier individuals – as a more cost-effective way to build projects than through smaller subscribers with less money to spend. Klein said he’s hopeful that the provisions of the law and the commission’s order mean smaller subscribers will have ample chance to buy into community solar projects. Revisions that could be made, he said, include higher SREC prices paid to community solar projects with smaller subscribers. Stakeholders will also be paying close attention to how the solar adjustable block program unfolds. That is the mechanism whereby the power agency sets the price of SRECs meant to incentivize the development of distributed solar. Different blocks of SRECs will be offered at different prices, with the price likely ratcheting down over time. “There are issues around how that adjustable block program transition will occur, between the blocks and between prices, if there is a lot more interest [than expected] in the program up front,” said Klein.